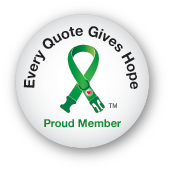 Our Testimonials and Success Stories speak volumes about the joys of saving lives! I am so proud and elated that I found Blue Ridge Boxer Rescue. Everyone I was in contact with was so very nice, understanding and immediately became good friends. I was the owner or should I say my old Boxer owned me for eleven years. Sadly Gabby passed away on August 2, 2009. She was such a sweet and faithful pet that I thought I could not possibly have another dog, but a friend of mine who had adopted a boxer from Blue Ridge gave me your website address. I contacted you and gave my criteria for a boxer available for adoption. It must be a female, fawn in color, needed to be about three years old and absolutely must be willing to be a friend to my old Siamese cat, Oscar who was nearing the ripe old age of fifteen. Within a few weeks I received a response stating you thought you had found the perfect match in South Carolina. After viewing the photos and your description, it appeared the perfect name for her would be Ginger and we should meet. When Ginger first came to my home it was obvious she had never received the love she deserved, and she was very shy. She seemed to show that she had also been mistreated at one time. She would give a little sad moan each time you touched her. I am proud to say that today she is a totally different dog. She has gained weight, her coat is shiny, loves to play and absolutely loves Oscar and he loves her back. She has undergone heartworm treatments and her vet thinks she is going to be fine. A few months ago, my husband and I decided we were ready to open our home up to another boxer. 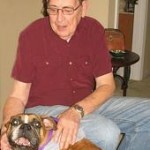 We were so happy to find Blue Ridge Boxer Rescue’s website on-line. After looking through the available males section we found him. Ruger is a fawn boxer with a little white smudge on his nose (just like our other boxer, Tula). He is also a three-legged boxer. As we read further into his profile we learned more about him and even watched a video of him running. To see Ruger run is truly amazing. He is fluid and graceful and he never lets his disability get in the way. Seeing him now, running with his new sister Tula we feel so fortunate to have him in our lives. He is our dream come true. Getting Ruger has allowed us to give another dog a second chance at life as well as give Tula a new best friend. They really do love each other. Everyone we dealt with at Blue Ridge Boxer Rescue was awesome. They were so helpful and considerate as well as thorough. We felt that their process was always in the best interest of the dogs. We especially loved Ruger’s foster family. My husband and I are still in contact with them and give them frequent updates. Thank you so much BRBR for giving us the chance to make a difference in Ruger’s life. He has become such an amazing part of our family.